Motifz Lawn 2019 with Price from Motifz Summer Collection 2019 Online Shopping Store. Oh no! currently active products from Motifz doesn't exists, please browse products from other brands! Motifz is a most loved and luxury leading brand in Pakistan with exquisite quality casual and formal clothing range. Founded in 2004 and strive to bring a best quality fabric to its clients with innovative designs ideas and vibrant color combination. Motifz presents many kinds of fabrics with embroidered work and stitching techniques but brand speciality is its elite embroidery collection and digital print fabric. The art of originality and well crafted designs with perfect hues, brilliant color combination with sequenced embroidered contours make Motifz superior than other available clothing brands in market. A brilliant team of designers with fully equipped designing system and digital printing machinery to keep its consumer abreast of latest trend and ever-changing fashion. A casual, semi casual even a formal collection can be found on a site. In casual range brand focus on luxury chiffon, chiffon embroidery, velvet and raw silk while in formal range brand cover Motifz lawn collection, cambric, viscouse, khaddar and linen. Motifz owns many retail shops in different cities of Pakistan and brand also deliver on ordering online. PakStyle.pk is a growing online fashion boutique that provides list of latest Motifz Lawn 2019 with Price from Motifz Summer Collection 2019 Online Shopping Store in Pakistan. The company offers latest Motifz Lawn 2019 at affordable prices from reputable online retailers with Free Home Delivery in Pakistan. 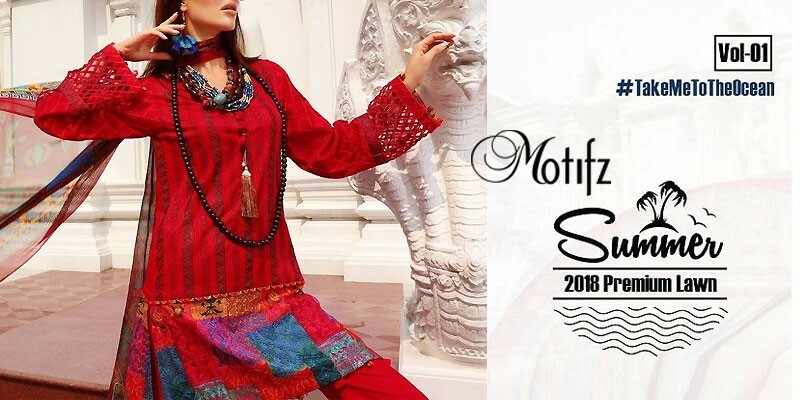 Motifz Lawn 2019 has become a trendsetting lawn collection 2019 in a very short period of time due to its versatility, innovating designing ideas and creative techniques. Get Motifz Lawn 2019 with Price from Motifz Summer Collection 2019 Online Shopping Store in Pakistan. If you are looking for eye-catching and appealing Motifz Lawn Design 2019, Motifz Lawn 2019, Motifz Lawn 2018 or Motifz Lawn 2017 Collection Online in Pakistan including all major cities such as Karachi, Lahore, Islamabad, Rawalpindi, Faislabad, Sialkot, Pesahwer, Quetta, Multan and many more cities. Just visit PakStyle.pk and explore Motifz Lawn 2019 with price online.